Ladies, here’s what’s on this term for you to encourage you to connect with other women for fellowship, discipleship, missions opportunities and prayer. 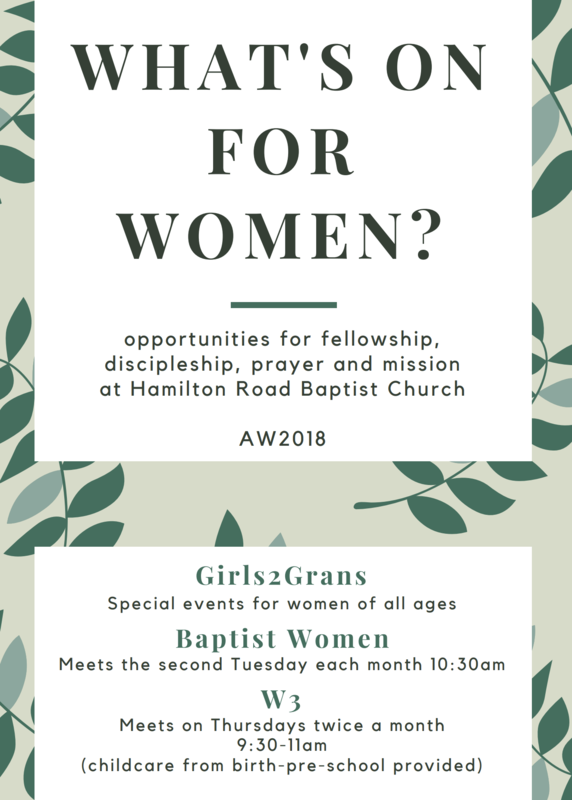 We have dedicated ministries that exist for women including Baptist Women that meets on the second Tuesday morning of each month, W3 (Whole Women Workshops) that will meet twice a month on a Thursday morning and includes childcare for babies up to preschool. 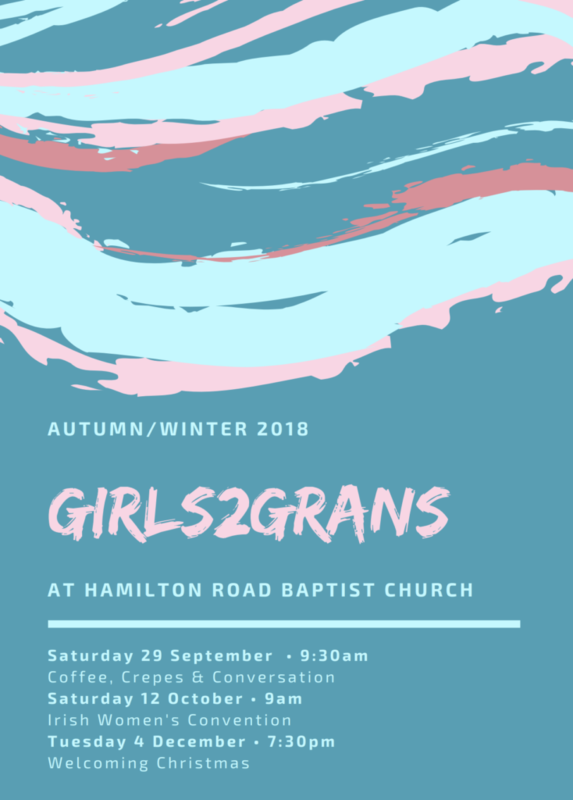 Then we have Girls2Grans which is a ministry dedicated to host special events that enable all women of all ages to gather for a variety of special events. 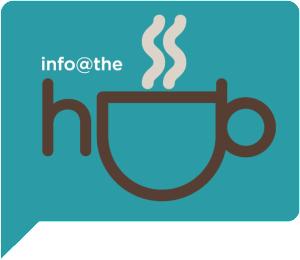 This term we have a breakfast ‘Coffee Crepes and Conversation‘ on Sat 29 Sept which is suitable for primary age girls up – please sign up in the hall and let me know if you’d like to help serve at this! Then we are taking a group of women to the Irish Women’s Convention on Saturday 13 October – please see Gillian Barr or Susan Hanlon to book a place (cost is £30 which includes lunch) – first come first served, payment secures your ticket! 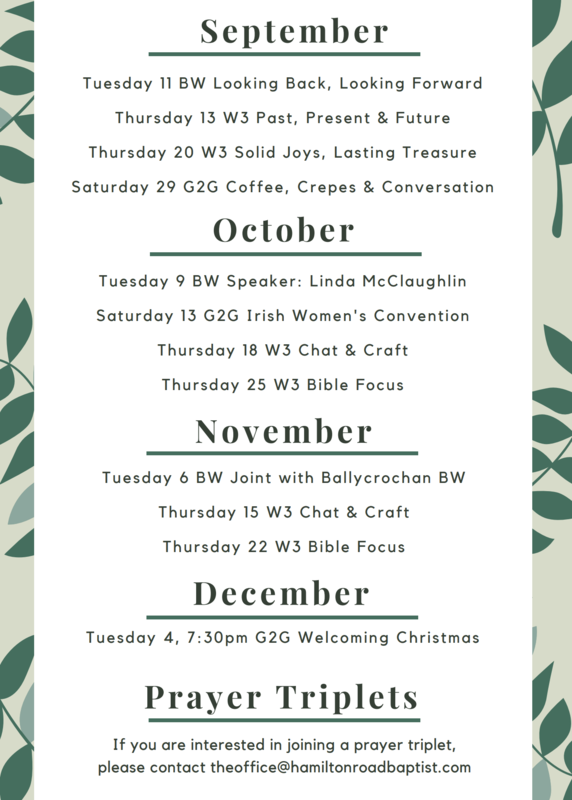 You can see all the details of all our plans for these ministries for the term on flyer below and sign up for the upcoming events and make an effort to get to know the women in our church where we can learn from one another and encourage one another across the generations.